A man was critically injured Friday night when he chased a basketball into the street and was hit by a car in San Diego’s Bay Ho neighborhood. 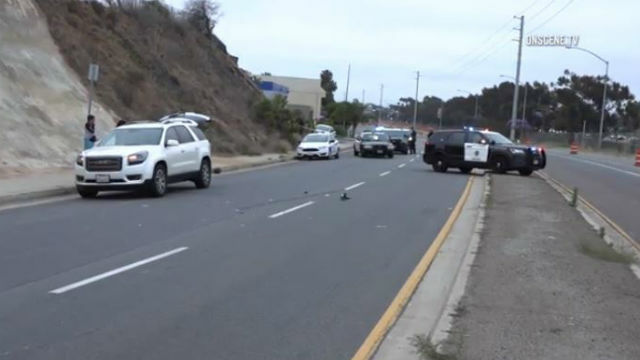 Police received a call around 7 p.m. of a vehicle versus pedestrian crash in the 1900 block of Morena Boulevard, said Officer Robert Heims with the San Diego Police Department. The 26-year-old man was bouncing a basketball on the sidewalk when it bounced into the street and he chased after it, Heims said. A man driving a Ford Escape northbound on Morena Boulevard hit the pedestrian, he said. The victim was rushed to the hospital with life-threatening injuries, said Heims.